Last time on the blog, we talked about one of the hottest trends for 2019: sustainability. We thought we’d take the time out to delve into this a little deeper – what does it really mean to go green? And how do we achieve an eco-status in our own homes? There’s more to being green than simply opting for a jute rug over a polyester blend (although this is a good start!). Whether you’re designing a brand-new home or renovating an existing one, taking environment factors into account is vital to enjoying a sustainable space. Passive design takes advantage of the climate to maintain a comfortable temperature range and optimum lighting in the home. Essentially, this means reducing the need for heating, cooling and artificial lighting – which is awesome, considering these elements account for at least 40% of energy use in the average Australian household! There are many ways to incorporate passive design into your home. Proper positioning of openings can ensure that natural light is taken advantage of, while glazing on windows will reduce heat and glare in summer. Air leakage accounts for at least 15% of heat loss in home – sealing gaps is one of the the simplest upgrades you can undertake to increase comfort while reducing energy bills and greenhouse gas emissions. 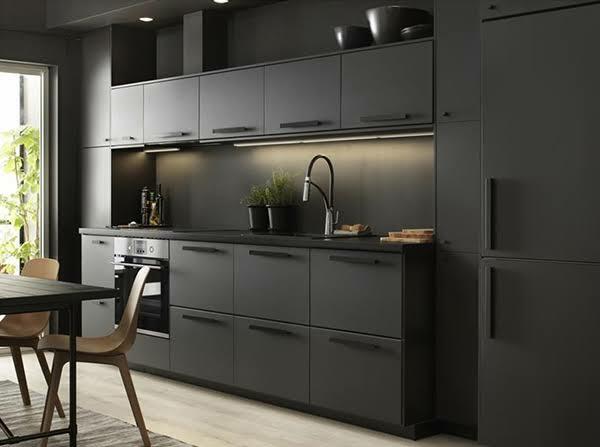 An IKEA kitchen made from recycled plastic bottles. Choosing to go green with sustainable building materials will not only have a positive impact on the inhabitants of your home, but your neighbourhood too. Environmentally friendly building materials emit little to no toxins and have fewer harmful pollutants. Plywood made from 100% FSC certified plantation growth pine is a great example of an eco-friendly material. Incorporating materials that are recycled and durable are imperative to creating an environmentally friendly interior. To be truly eco-conscious in your building efforts, you need to consider the entire supply chain when assessing a material, including how it has been manufactured, transported, and the way it will be used in the construction of your home. The final consideration for enjoying an eco-friendly home is furnishings. Unfortunately, it can be difficult to tell whetherthe wood in a piece of furniture has been sourced sustainably. Sure, bamboo is a highly renewable resource which can be cut with harming the plant – making it a popular choice for green buildings and furniture. However, not all bamboo suppliers harvest the plant sustainably – some forests are harvested too soon which can affect the quality of the final material as well as the remaining plant. 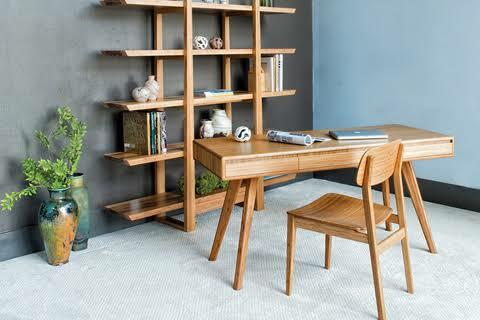 Take the time to explore furniture options which incorporate recycled, reclaimed or sustainably sourced materials. Finally, choosing appliances that tick the energy efficient or water saving boxes will improve both the environmental performance of your home and reduce the cost of running it!